In fact, canning preserves most of a food’s nutrients. Therefore, studies show that foods high in certain nutrients are still high in the same nutrients after being canned (1, 2). Yet since canning typically involves high heat, water-soluble vitamins like vitamin C and vitamin B can be damaged (3, 4, 5). 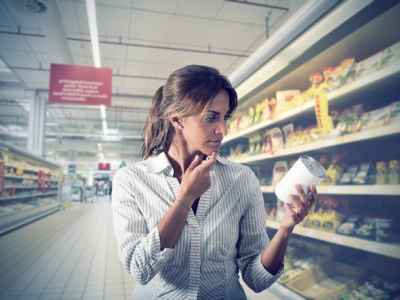 However, while the canning process may damage certain vitamins, amounts of other healthy compounds increase (6). For example, tomatoes and corn release more antioxidants when heated, making canned varieties an even better source of antioxidants (7, 8). In one study, people who ate 6 or more canned items per week had higher intakes of 17 essential nutrients than those who ate 2 or fewer canned items per week (9). Also, since canned foods can be stored safely for several years and often involve minimal prep time, they’re incredibly convenient. Studies show that the BPA in canned food can migrate from the can’s lining into the food you eat. One study looked at 78 different canned foods and found BPA in over 90% of them. 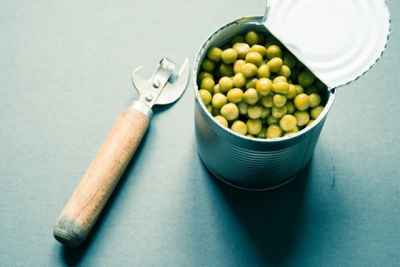 What’s more, research has made it clear that eating canned food is a leading cause of BPA exposure (10, 11). In one study, participants who consumed 1 serving of canned soup daily for 5 days experienced more than a 1,000% increase of BPA in their urine (12). Although the evidence is mixed, some human studies have linked BPA to health problems like heart disease, type 2 diabetes and male sexual dysfunction (13, 14). If you’re trying to minimize your exposure to BPA, then eating a lot of canned food is not the best idea. While it’s extremely rare, canned foods that weren’t processed properly may contain dangerous bacteria known as Clostridium botulinum. It’s important to never eat from cans that are bulging, dented, cracked or leaking. Bottom Line: Canned foods that weren’t processed properly may contain deadly bacteria, but the risk of contamination is very low. Excess sugar has been associated with an increased risk of many diseases, including obesity, heart disease and type 2 diabetes (15, 16, 17, 18, 19). As with all foods, it’s important to read the label and ingredient list. If salt intake is a concern for you, choose the “low sodium” or “no salt added” option. Canned foods can be a nutritious option when fresh foods aren’t available. Canned foods can be a part of a healthy diet, but it’s important to read labels and choose accordingly.